Samuel is eleven when his mother abruptly walks out of his life. Decades later she reappears just as suddenly in the form of a news media sensation: the notorious "Packer Attacker." She wants his help... but first, he must find answers to questions about his family that have plagued him his entire life. 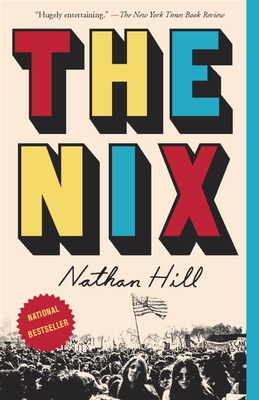 Nathan Hill writes with humor and heart in this far-reaching saga that traces back to a small village in WWII Norway and on to the 1968 riots in Chicago, while also taking hilarious pokes at the absurdities of modern America, such as technology addiction, entitled youth, and the national media circus. You won't know whether to laugh or cry-- but either way you'll savor every minute of it! Rarely have I read a book which immersed me so convincingly in so many different people's lives. Part of the convincing-ness has to do with the details--often unlikely--which paint each scene. It begins with a seemingly-random attack on a political candidate and continues with an uninspired college professor who distracts himself by playing an immersive video game. The novel examines the tenuous connection between these two events. From there, the story opens up widely into an inter-generational saga that delves into particular periods of recent American history. I loved this book and I was sad to say goodbye when I finished the last page. It’s 2011, and Samuel Andresen-Anderson hasn’t seen his mother, Faye, in decades—not since she abandoned the family when he was a boy. Now she’s reappeared, having committed an absurd crime that electrifies the nightly news and inflames a politically divided country. The media paints Faye as a radical hippie with a sordid past, but as far as Samuel knows, his mother was an ordinary girl who married her high-school sweetheart. Which version of his mother is true? Two facts are certain: she’s facing some serious charges, and she needs Samuel’s help. NATHAN HILL’s short fiction has appeared in many literary journals, including The Iowa Review, AGNI, The Gettysburg Review, and Fiction, which awarded him its annual Fiction Prize. A native Iowan, he lives with his wife in Naples, Florida.